Emtalks: A Weekend In Munich! 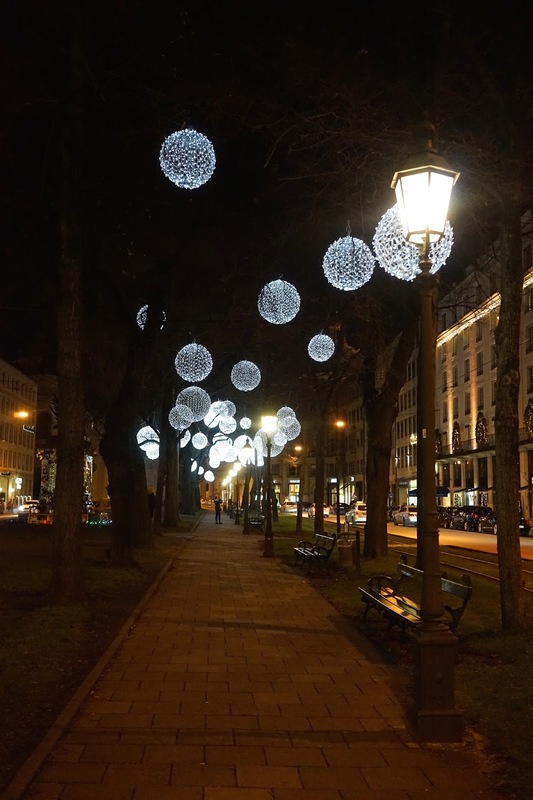 Munich Christmas Markets, Aloft Munich, My First Time In Germany! A Weekend In Munich! Munich Christmas Markets, Aloft Munich, My First Time In Germany! We checked into our hotel, the Aloft hotel in Munich. It's a pretty new hotel and I went ahead with it because it's part of the Starwood brand (they own the W hotels etc) so I knew it would be of high standard. The Aloft Munich is placed so centrally, literally opposite the main station and a 10 minute walk max to the main area of Munich. Our flight was 5 hours delayed (never fly with Lufthansa, I'm still waiting for some kind of compensation) which was a huge shame as we deliberately paid extra for flights that meant we'd arrive at 10am, instead, we ended up arriving at the hotel at 5pm! Luckily though, we were greeted in the coolest reception by the loveliest staff members which made us feel much better about missing a full day of our trip. Aloft hotels are really cool, think 'hip' and quirky, with pool tables, the loveliest bar, egg chairs and just everything you could need. Aloft is extremely comfortable but it still feels plush. We were in the comfiest suite, complete with adult bean bags (the dream), cookies and sweets. Whilst the Aloft Munich isn't traditional luxury, it's luxurious in the sense that it feels like a friendly, comfortable and very clean home with extra added treats around every corner. It's such a clean, minimal but perfect hotel and I'd definitely recommend staying there. We were so hungry from our flight delay so these doughnuts really did make my evening. Safe to say they were munched within seconds. Not only did we have the biggest walk in shower you've ever seen, but we also had the most beautiful sitting area complete with adult beanbags. We walked straight into the main square (Marienplatz) to explore and I fell in love with the architecture and the beautiful lights. I'm such a sucker for beautiful Christmas lights. It's safe to say we sampled quite a lot of the food at the Munich markets. Munich certainly knows how to do Christmas. We basically spent our time in Munich strolling, eating and taking our surroundings. We walked up St Peter's Church - the most amazing little old church which gives you the best views of Munich. The sun was setting nicely when we came down. I finally took my new All Saints leather jacket for a spin and my new coated jeans too! We stumbled until we found Maximilian Street - the home of the best designer stores in Munich. Safe to say I wanted to buy absolutely everything. We started our final day with a big breakfast at our hotel. I opted for pancakes of course. We then strolled for 10 minutes to a local food market (rather than a Christmas themed one) that the staff in the hotel recommended we visit. I ate more food than any one person should ever consume. It was lovely to wander around the streets near to the hotel though, we spotted some unbelievable houses. This time I paired my coat with my new jumper dress, I love it so much but unfortunately it was a little cold to wear it with bare legs. We headed back to the hotel to chill before we had to jump on our plane home but naturally ate quite a lot more that evening (we found two of the most amazing pizza places ever, L'Osteria for the best atmosphere and biggest pizzas you've ever seen and ristorante CA`D`ORO which is next door to the hotel pretty much and is the loveliest family run hotel!). All in all, I'd recommend Munich for 2-3 days and it is somewhere you can go to without much of a plan. The Aloft Munich hotel really was our saviour after long days as it was so comfortable and friendly plus, in the best location. I can't recommend it enough. You can see what else we got up to on my vlog below and as always, it would mean the world to me if you could click here and subscribe to my channel! Have you ever visited Munich? Have you visited Germany? Is Munich on your list of places to travel? Do you love Christmas markets and food?